"Nice location, Luxury stay. cozy and worm rooms, full of all amenities. One need to simply go for it. Its for sure great value for money. Food may be little challenge as you might have to go market every time you want to have it"
"Hotel is nice, recently renovated rooms, clean. Staff was polite and friendly. Food was also good although takes little time to prepare. 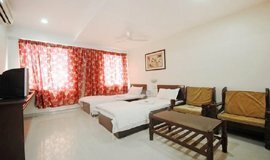 Just be sure that all rooms are almost equal size but offered with different bed numbers in online booking." 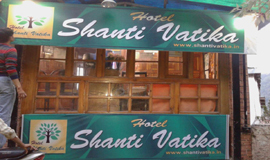 "Very good hotel at a very affordable price with a fantastic view of Naini lake. 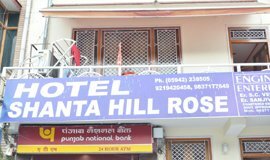 According to me, it is the cheapest hotel you can find on Mall road in entire Nainital. The rooms are quite well built and maintained. " 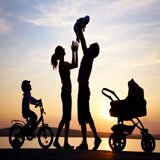 "I visit Nainital with my family and book snow view hotal online. It's 3 km from bus stop . It is in top of hill, very beautiful place and view point in nainital. It's a good hotal to stay. Strong remanded." 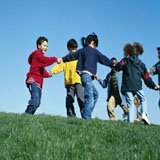 "We took a school trip to Hidden Valley.Camps were really spacious with attach Bathrooms. It was a great experience as the staff was really helpful & all the meals were really tasty. Adventurous activity, bonfire & dj party all perfect." 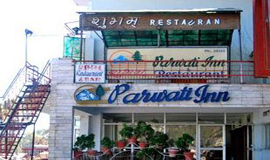 "parwati inn is one of the budget hotels in nainital. 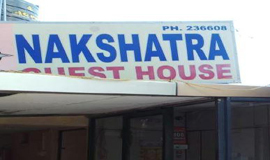 this hotel is very near to market and you can access market easily just by walking. rooms are very neat and clean. food is quite good. it was a comfortable stay." "A great get away place, best if you are traveling with kids and looking for home cooked food. Unlike hotel rooms where you meet with friends in lobbies, cottage has a living room where you can relax with your friends / family. " "Everybody has already raved about The Retreat, so i will just focus on some practical points. 1. Once you cross Bhimtal, you need to take a side road which is narrow and goes on for approx 2km. Don't be apprehensive (we initially were)"
"Needs a lot of work on the cleanliness and room conditions specially the ones at ground floor. Good parking space, staff is good, friendly and helpful. Rooms at the ground and first floor were not that great so staff suggested me to go for rooms.."
"Let me start by saying that this is not a review of the place. Because The Sanctuary at Jilling is not a place. Its an experience. And you don't review an experience. You just savour it." "I have been to Jilling Estates twice in as many years. Both times with family. It seems like a haven of peace where you are free to decide what you want to do with your day... spend it quietly watching the clouds come in over"
"Nice comfortable stay, large spacious bedrooms with full Sun Light. Thòugh slight upwards walk but it gives wide view of hills. Fully operational kitchen. Like to recommend." " didn’t have any problem in finding the hotel. The staffs were average in the hotel. I had no delay in check in and checkout. Road was visible from my room. The housekeeping service was not provided by the hotel." 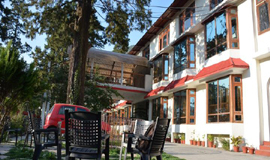 "Awesome hotel of nainital followed by green hills. Nainital is a good place for a short holiday where everyone can enjoy. 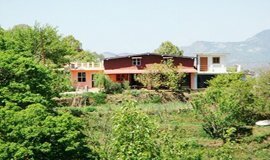 Its a place of natural beauty with awesome nature views. The hotel was quite fine with tariffs and quality food." 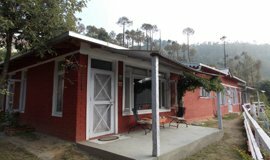 "The cottage is 45 kms away from Nainital, situated in a quaint place. The caretakers of the cottage are extremely hospitable and took care of our needs, including food. 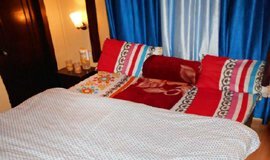 Would recommend stay here if one wants to be away from the crowded Nainital." "We stayed for a day and had the best time. The staff was very helpful and great location of this hotel , made our stay more comfortable. The view from our room was great. " "it was a living nightmare! 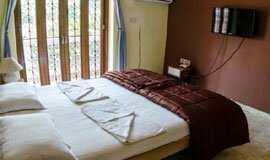 travelling all the way from Rishikesh for a nice long journey, reached Nainital late around 9-10 pm, we decided to search for a nice room in our budget." 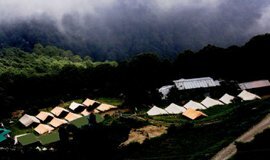 "This resort is for those who do not want to roam in nainital or around. Instead be at the resort and enjoy the view of the jungle and hills. This is around 30-40 kilometres away from nainital and one has to search for the hotel." 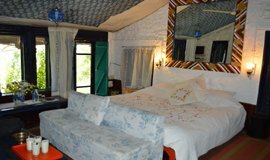 "I stayed here with my fiends for 2 days 17th and 18th dec 2016. 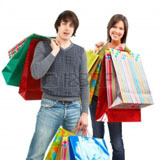 Its located at the centre of the city, so its easy to commute towards Mall road, bust stand, zoo . I would say its well within the budget"
"The hotel is very ordinary budget property but I have rated 3 because it's location, price and facilities. 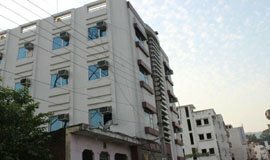 Our stay there in the month of Dec'15(16-18th)for 2 nights was only due to very reasonable price with Executive Deluxe room"
"Hotel Mohini Inn is a budget hotel to stay, the place is not so far from mall road very near to tallital police station. View of mountains from lobby of hotel is visible. The maintenance is not very good but staff is humble "
"I have been to this property in the month of October 2016. No doubt it's a wonderful property & its owner is a good host. The main constraint is the housekeeping. " "It's a good experience for first time in Nainital... It is good hotel...best deal..... Charges for hotel not too much so easily affordable.... And view of Naini jewel was awesome from hotel.. Room has doubled bed.. 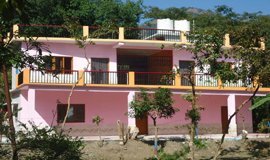 Dish connection and breakfast also availabl"
"A beautiful house in a small village in Uttaranchal, in the middle of nature. The 4 days I spent here were absolute bliss. I visited this place with my mother and we took one of the bigger rooms. Food- Home cooked food which is absolutely"
"I went to this place after (frying no online )calling to the host conforming availability of 3 cottages in eavning around 4 o'clock and then drove to this place which is 15 km away from nainital which took us some 45 minutes to reach"
"The property is nice and cool. 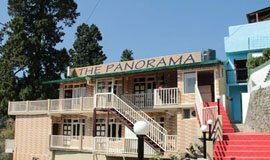 They offered tasty food, The ambience is good The hotel staffs are very much helpful and always ready to cater good service with smiling face. We stayed for a couple of night "
"First of all, I must thank Sanjay for arranging my stay for three nights at Camp Mehi Cottage with my family and my kitten. 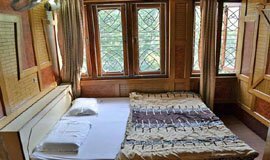 The wooden cottage is very cosy and comfortable and has an attached bathroom with all amenities required. " "I stayed with my group in Radha continental hotel for 4nights I found this hotel excellent. First I gone through many hotels online but not getting the availability I booked this hotel found so many bad reviews then also booked it." "the hotel and the rooms are very good, clean and neat...well maintained... good service was provided.. small rooms but nice ones with some having good view"
"t was a nice experience to stay there.The quality of Food was quite good ..but Mutton is cheaper than Chicken! Room service Charge was Rs. 25 extra For Lunch and Dinner.."
"This is the worst place to stay. Very poor environment. No services, nothing you can say good. Dirty room, Extremly poor washrooms. No proper lighting in room. Geysers not working in any of the room. " "I went to this place with my family recently. It was such a pathetic experience that we vacated the property the same day (even though I had booked it for two days). " "Its too far from the nanital and zigzag road made trouble, in case you don't have your own vehicle then it will be too much. there in the room we stay with a big spider and cockroach. bathroom was not good "
"My stay was good at this hotel. The destination of the hotel was good. 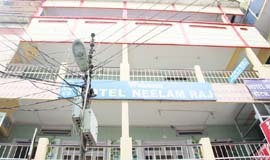 The location of the hotel was very good and located near to the city. The appearance of the hotel was good. " "For a relaxation purpose I stayed in the hotel in December. The services of the staffs in this hotel were good. The room was very good to stay in with needed amenities. No activities arranged in this hotel." 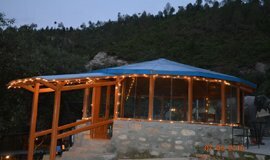 "Good place for people looking for peace and solitude in a far off place yet few kms from nainital. Yet it could be much better. Interior decoration of rooms could be better, charging for water bottles should be avoided "
"Purely for business travellers, location an advantage, close to goregaon station and bombay exhibition center, rooms are okie type. Food prices nominal, complimentary breakfast very bad." "This review though comes in bit late. I had stayed there on transit. 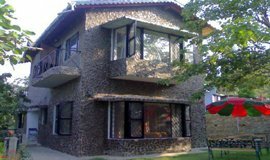 Its centrally located offers good view of the Lake. Overall good experience. Would love to come back again in this city & probably stay here. " 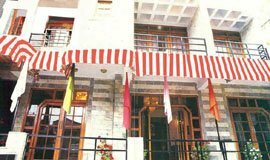 "I had booked Hotel Emm Jay when I had been to Nainital during the month of January 2017. It was my holiday trip with family. The city Nainital was very good because of its weather. 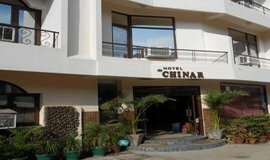 My hotel location was very good because of transportation facility." "Rooms were extremely dirty and washrooms were full of flies and dirt. During peak season they charge huge but not able to service. Even the kitchen service was very poor with high charges. Only people there were good." 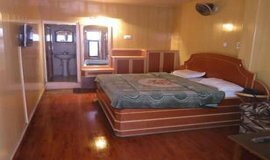 Exploring the Nainital's Naini Lake, Nainital Zoo and Famous temples entitle Allseasonsz.com with the luxurious ,deluxe ,budgeted Nainital hotels Resort with homely touch. 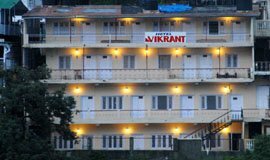 Hotels in Nainital are the convenience spots to stay in Nainital for vast number of voyagers that visit Nainital consistently to see this excellent destination which is situated in the Kumaon district of Uttarakhand. 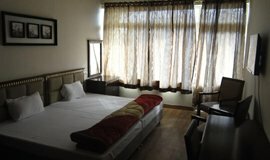 Hotels in Nainital are a portion of the best lodgings in the Uttarakhand state of India, offers state-of-the-art comforts adoring accommodation furthermore available for somebody searching for looking for budget Hotels in Nainital cheap yet they offers great administrations to their visitors. 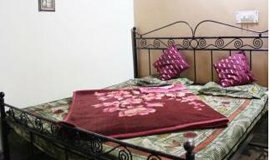 Hotels in Nainital are spread over the Mallital, Tallital, Mall Road, Ayarpatta, Pangot, KhurpatalThrough allseasonsz.com you can book good Nainital hotels online in advance,available in affordable rates and prices.Use the links in the list below to choose the accommodation of your choice. 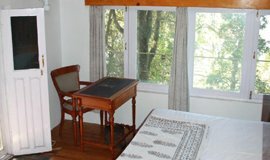 In actual there are 212 hotels in Nainital reviewed by the travellers. 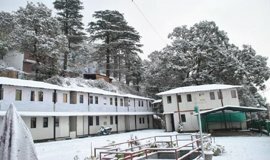 The most popular Nainital hotels are Hotel Manu Maharani,Vikram Vintage Inn, Shervani Hilltop,Balrampur House,Relax Inn,Har Shikhar,Naini Retreat,The Palace Belveder,Chevron Fairhavens,The Pavilion,Dynasty,Radisson Blue,Club Mahindra Dancing Water,Arif Castles,Hotel Abbotsford,Oak Chalet,Hotel Lords Eco Inn,Country Inn,Hotel Fisherman Lodge,Cedar Lodge,Hotel Mount n Mist,Vienna Cottage,Red Roofs Resort,Elphinstone,Elphinstone. 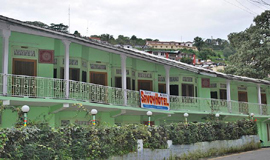 The lowest available tariff for Nainital hotel deals are available at Rs.799. 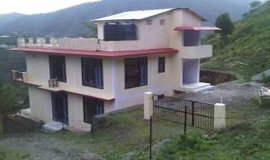 You can search for Nainital Resorts (35) Nainital Hotel (89) Nainital Self-catering/Villa/Cottage (26) Nainital Tent/Camp/Caravan (38) Nainital Home Stay (29) Nainital Guest house/Hostel/Lodge (35) Nainital Boutique hotel (35). 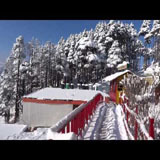 There are wide range of hotels in Nainital for families,groups,friend,kids,nature lover,for weekend break and mainly for couples and newly married,as Nainital is considered one of the best honeymoon destination of Uttarakhand. Normally known as the "Lake District of India", Nainital is a standout amongst the most lovely hill stations in North India. Encompassed by mountains on three sides Nainital is situated around the excellent lake Naini Tal. This lake resort is arranged at a stature of 1,938 meters. There are numerous legends connected with the spot. 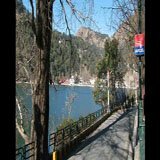 As indicated by one, Nainital has gotten its name from the Goddess Naina while the other legend says that when the Goddess Sati lost her eyes, she was being conveyed by Lord Shiva and a lake was shaped. ('Naina' implies eyes and "Tal" implies lake.) This delightful residential community in surrounded by seven hills, popularly known as 'Sapta-Shring' - Ayarpata, Deopata, Handi-Bandi, Naina, Alma, Lariya-Kanta and Sher-Ka-Danda. The magnificent mountains and the shining waters of the lake add an enormous part to the magnificence of the town. 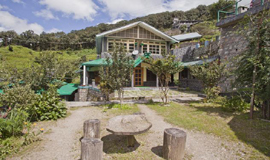 The hill station is an excellent blend of the considerable number of tints of nature. Naini lake is the pride Nainital and the numerous joyously hued yachts on the shining lake have now become synonymous with this excellent picture-postcard resort. 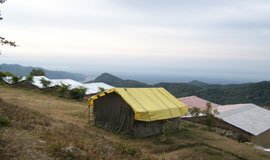 A national level yachting rivalry is composed here amid the season.The famous attractions of Nainital inlcudes;- Naini Lake, Nainital Zoo, Naina Devi Temple,Dorothy Seat or Tiffin Top,Snow View, The Mall Road,Naina Peak,Hanuman Garhi, Lands End, ARIES-State observatory,Eco Cave Gardens etc. Among the 212 hotel in Nainital there is a 4 star hotel named Hotels Manu Maharani which offers five star facility.Hotel Manu Maharani is one of the best Hotel Nainital it is located Near Mall Road Nainital.There are eight 4 star hotels in Nainital among these hotels most popular one are Vikram Vintage Inn, Balrampur House, Club Mahindra Dancing Water, Shervani Hilltop, Arif Castles.There are twenty four 3 star hotels in Nainital.Among the twenty four 3 star hotel in nainital the most popular one are The Pavilion, Har Shikhar, Suman Paradise, Chevron Fairhavens,Mapple Hermitage Bhimtal,Hotel Abbotsford,Hotel Arsh International,Oak Chalet, Hotel Clarks Inn Blue Saphire,The Hive, Cedar Lodge. 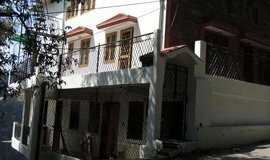 The Luxury hotels in Nainital started from Rs. 4000. Tariff for Nainital hotels starts from 4000 and goes to 10000,charged by Nainital luxury hotels it can also hike in summer season. 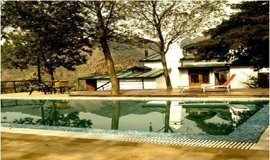 Luxury hotels in Nainital include premium amenities like jacuzzi, sauna,bathtubs, massage services, fitness centre or gym, bar/lounge, swimming pool,restaurant, dry cleaning services, Wi-Fi,valet parking, banquet hall and conference rooms for business meetings. 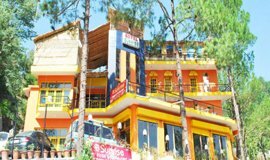 There are 45 Budget hotels in Nainital which are priced below Rs. 3500. 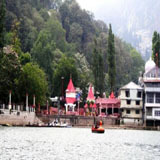 Tariff for hotels in Nainital starts from 800. 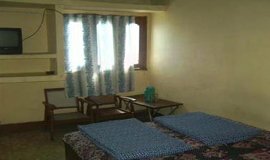 Cheap hotels in Nainital may provide basic amenities like a private bedroom, colour TV, Telephone, AC, 24-hour front desk,security and housekeeping staff on call. These hotels are affordable and value for money. 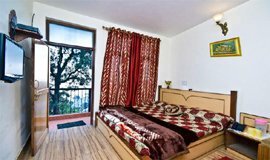 Nainital Hotels-Where You Want To Stay? Normally known as the "Lake District of India", Nainital is a standout amongst the most delightful hill stations in North India. Nainital used to be the mid year capital of United Provinces (Uttar Pradesh) during the British period and remained so for a long time even after Independence. The British were the first to "find" Nainital as an occasion resort in 1841. Today, it has developed into an exceedingly well known vacationer destination. The emerald waters of this mountain lake keep on retaining their charm and allure voyagers from great distances abroad. When this territory had numerous lakes and it was known as the region of 60 lakes. The vast majority of the lakes in the district have step by step vanished and the straggling leftovers is only a look at what they might have been in the past. Today the life of Nainital spins around the lake Naini however in nearness lie different lakes e.g. Bhimtal, Naukuchiatal, Sattal and so on. These beautiful lakes have held their appeal and the region is legitimately called The Lake District. Nainital has an advantage of being arranged in region of a several other lesser known hill stations that are associated through all season motorable roads.Vantage focuses around Nainital offer an all encompassing perspective of Himalayan tops on one side and the fields spread out on the other. Restricted lush paths through timberlands of oak, pine and deodar are phenomenal for short reviving strolls. The more seasoned parts of Nainital likewise hold pioneer remnants, including sprawling homes, government funded schools, chapels and the old Christian burial ground. On achieving the head of the town where the highway from the fields meets the primary Mall at Tallital, one gets a sensational perspective of the excellent Naini Lake that is by all accounts settled in a remote casing.Brightly coloured sails of yachts spot the quiet waters of the lake while crowds of occasion creators throng the Mall at its edge. Sculling in the lake is only one of the most loved exercises of the visitors. 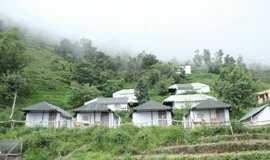 Others come here for trekking in the thickly forested mountains that encompass the town.The city is an excellent blend of the considerable number of tints of nature. Naini lake is the pride Nainital and the numerous joyously hued yachts on the shining lake have now become synonymous with this excellent picture-postcard resort. A national level yachting rivalry is composed here amid the season.The famous attractions of Nainital inlcudes;- Naini Lake, Nainital Zoo, Naina Devi Temple,Dorothy Seat or Tiffin Top,Snow View, The Mall Road,Naina Peak,Hanuman Garhi, Lands End, ARIES-State observatory,Eco Cave Gardens etc. Tourists visiting Nainital can also plan a trip to Bhowali, which is approximately 11 km away. This hill station is home to a number of attractions, including Sainik School Ghorakhal, Golu Devta Temple, Folk Culture Museum etc. Apart from visiting Bhowali, travellers can pay a visit to Bhimtal, which is famous for Hanuman Garhi, Bhimtal Island Aquarium, Bhimtal Lake, Bhimeshwar Mahadev Temple etc. 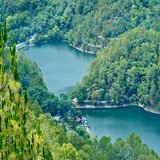 Nainital in the Kumaon hills maintains pleasant climate throughout the year except the winter months. The temperature is mellow whenever yet in winters it turns out to be exceptionally cold. The atmosphere of Nainital is controlled by the lake here which showers rain verging on each evening. The best time to visit the spot is between April to June and afterward again in September and October. The months of January to March are set apart by snowfall. Outfitted with right dress, this one of a kind slope resort can generally be gone to anytime of the year. 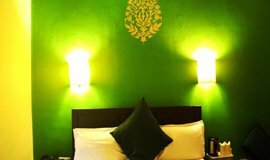 Book Online Nainital Hotels Resorts packages 2,3,4,5 Star, avail upto 52% discount & find real hotel accomodation details, contact address, room information,location,how to reach @ Allseasonsz.com Uttarakhand largest online travel company since last two decades.